Ukraine mourns the victims of two coal mine incidents that claimed 37 lives in Lugansk and Donetsk regions where the first funerals have already been held. 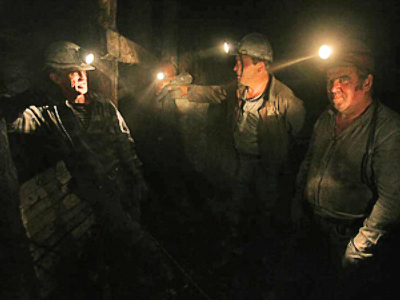 ­In Lugansk region, 26 miners died as a result of a methane explosion in the shaft at 915 meters depth. Only two miners made it to the surface alive. 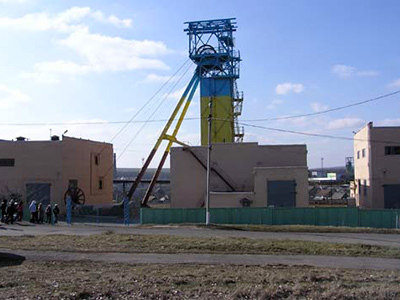 In Donetsk region, a lift carrying miners up and down the shafts collapsed, killing 11 of the 15 miners who were inside it. The bodies of all victims have been found and brought to the surface. Ukraine’s President Viktor Yanukovich decreed that July 31 would be a national day of mourning. Those in charge of Ukraine’ coal mining industry have been ordered to thoroughly inspect all lifting equipment at mines throughout the country. As a gesture of grief and solidarity with the Ukrainian people, the flags of Russia’s Black Sea fleet warships in Sevastopol are flying at half-mast today. Though this Sunday is official Navy Day in Russia there will be no celebrations at the naval base in Sevastopol and the ships will only demonstrate combat capabilities to mark the date. The owners of the mines affected by incidents promised to support the families of the dead miners and provide jobs for other workers because the mines would not be functioning as usual in the foreseeable future.